If your players need to work on listening skills or your setters need help staying engaged, consider running this name-changing drill. 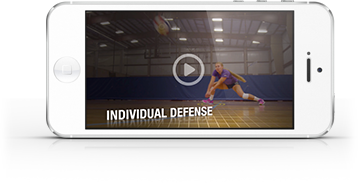 Yes, the name of the drill scrambles each time that Genny Volpe, head coach at Rice University, runs it with her team.To win this six-on-six free ball drill, the front row hitters on each team must score in a particular order. The tricky part: players must listen to how the coach says the name of the drill that day to figure out the order in which they must score (if the coach presents the drill as Ringo Mingo Lingo, then Right sides must score followed by Middles and Left sides). To run the drill, the coach alternates free balls (or sends balls to the rally-winning side) and the teams play out the rally. The first team to tab three kills in the appropriate order scores a big point, and the drill resets. However, if a team doesn’t meet in the middle and yell out the name of the drill after scoring their final kill, they don’t get a point.